As the saying goes....."If you don't like the weather in Texas wait 5 minutes". We can help get your A/C system ready for any season. Hellyer Transmission & Automotive can keep your car cool in the hot and humid Southeast Texas months and warm in the winter. How do you know if you have an air conditioning or heating problem? Noises and squeaks could be a compressor failing, excess moisture, damp carpets and musty smells are symptoms of problems. Whether your refrigerant is low or your compressor is malfunctioning, our technicians can repair your A/C system and fix it right. All repairs are guaranteed. 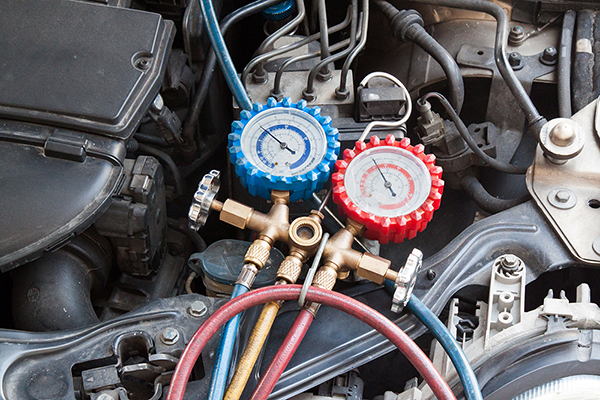 Contact us today to check your vehicle's A/C system. Contact Hellyer Transmission & Automotive to schedule your next air conditioning job!